Unlike long time ago where women were just servants to men, women nowadays in almost ¾ of the world now possess equal rights to men. Gone are the days where women’s tasks are limited only to household chores and taking care of the children in the family. Thanks to the people who fought for women gender equality and pushed movements/activities letting the whole world know that women, just like men, are far more than any of that! One of the great worth-mentioning communities that support and inspire women is Tech Ladies. This is a community for women that originated in Asia with a purpose to connect, learn, and advance women as programmers in the tech industry. Tech Ladies is blossoming in Southeast Asia countries but not yet present in the Philippines. So, a group of independent techy women in Cebu wanted the community be expanded in the country. 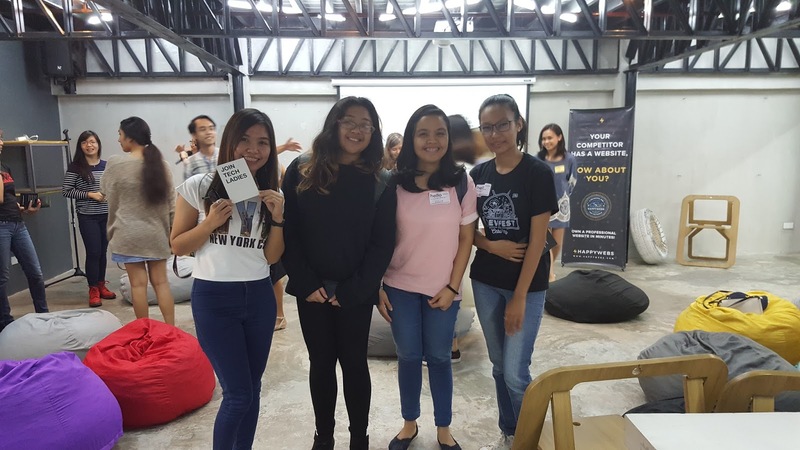 Thus, the birth of the the first ever Tech Ladies event in the Philippines that was held in Cebu City last February 24, 2017 at A Space Cebu. The event encompassed lightning talks and networking over drinks. The main goal of the activity focused on motivating and supporting local women techmakers strive more for excellence and merit. It was a fun-filled getting to know session, great sharing of life struggles and creative gathering for women in Cebu. Games – By this, I really mean fun games! We wanted all women to be friends with each other and this is one way to achieve that. “The boat is sinking” game was very amusing. Through this, attendee’s talents that ranged from dancing, singing to beatboxing were flaunted and showcased in the open. Motivational Talk for Women – There were three women speakers in the tech world who delivered very inspirational messages conveying the thought that women can be anything despite of struggles and challenges along the way. Why did I join this? I was a beginner programmer before I switched to System Administration kind of profession. I am an absolute supporter when it comes to women’s activities and improvement. Meeting new friends, listening to their unique life stories and learning a lesson or two are basically one of my 'wants' at this current stage of my life. I also believe that there’s more unimaginable things we can do. This event is organized by independent women in tech volunteers in Cebu and our community partner A SPACE. Additional thanks go to our sponsors HappyWebs and Third Team Media.